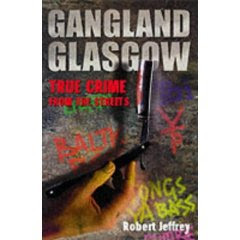 Glasgow has long been notorious for violent crime and there are regular news stories provided by the Scottish media and annual studies released to remind us Glaswegians that we live in the apex of violence and danger! However, news comes this morning that actually, Glasgow is the "UK's safest city". Despite being the murder capital of Europe, Glasgow has been named Britain’s safest city in an international quality-of-life league table. The annual ranking, used by businesses to assess the safety of employees who travel abroad, has ranked Glasgow 43rd out of 250 cities surveyed. Researchers examined factors including overall crime rates, law enforcement, the city’s relationship with other countries and internal stability. You know, this is quite good to know, actually. 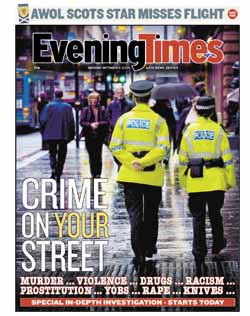 We've been told time and again to stay out of certain areas in Glasgow, and we have ... but we've also not really felt that there was all that much danger in the rest of Glasgow. So ... it just feels right, this article. Funny. And nice, for us ... but kinda not nice, for the people who live in the other areas.